When you’re the primary caregiver for an aging parent or relative, your main focus is making sure they are as comfortable and independent as possible. But while independent senior living can be manageable for many, there are times when it may be best to look into long-term care providers. To help you and your family make an informed decision, consider these common indicators that a loved one is a good candidate for assisted living. From diabetes to arthritis, there are many chronic health conditions among seniors that require consistent medical care. If the challenges of aging make it difficult to manage these conditions, nursing homes offer a reliable alternative. Staffed with health care professionals, these facilities are equipped to help monitor symptoms, manage medication, and tend to wounds. People who have trouble maintaining balance or getting around the house are more likely to encounter a fall injury. Nursing homes help prevent these injuries by providing living spaces that are optimized for mobility and having staff on hand to help residents. Many also offer age-appropriate fitness classes that help people stay active in a safe environment. Low mobility and memory challenges are common reasons why seniors struggle to take care of routine chores, bills, or their personal hygiene. Assisted living facilities ease the burden of these responsibilities by providing complete housekeeping, personal care, and nutritional services. When aging adults, particularly those that live alone, face mobility issues, it can be more difficult for them to stay engaged with their communities. Over time, this isolation can contribute to cognitive decline and depression. Fortunately, moving into a senior living facility can be a great way to counteract these behaviors, as individuals can participate in fun activities and socialize with other residents. When Alzheimer’s disease causes an individual to “sundown,” they may be more likely to wander, become aggressive, or experience confusion. 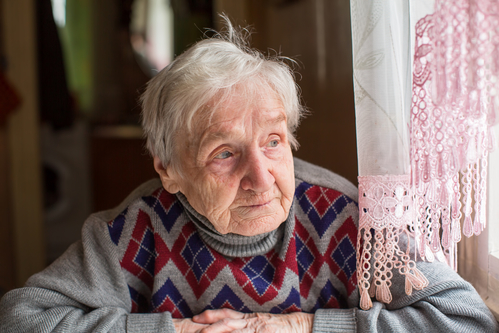 Since these symptoms can all impact personal safety and disrupt one’s quality of life, it’s often best for an individual to move into a residence that offers memory care services. Making the decision to transition your loved one into assisted living is never easy, but it’s often a move that will benefit them in the long run. If you and your family are considering nursing home options in the Wisconsin Rapids area, Wellington Place at Biron can help make the change go smoothly. Offering clean living spaces designed for optimal safety and a 24-hour support staff, this not-for-profit senior living center can make comfort and wellness a priority for every resident. You can learn more about their amenities online or by calling (715) 423-5600 to speak with a caring associate.